From Wednesday 4 April the full exhibition of Nawi – Exploring Australia’s Indigenous Watercraft will be opened for viewing in the lead up to the conference on indigenous watercraft in late May. The exhibition features Saltwater Freshwater bark paintings, technical drawings of a raft and a dugout canoe, and historic images from a 1929 mining company visit to Cockatoo and Koolan islands of the Buccaneer Archipelago off the Kimberley coast in WA. The images on display are sourced from a photo album acquired by the museum several years ago at an auction in the United Sates. Considered important for the images of Aboriginal people it held, the album was compiled by an Australian mining company during a series of mining survey expeditions to the Kimberley in 1929 and 1930. The company photographed potential iron ore deposits – for which the Kimberley have since become renowned – and carefully placed the photographs into an album, with handwritten labels. But the photographers lens quickly turned from the rocky outcrops of ore to the local people who were guiding them. Most of the album is taken up with shots of Dambimangari and Mayala people. Like many European Australians in Australia’s north and west in the early 20th century, the photographer was obviously fascinated with the traditional lifestyles of Aboriginal people. The album is full of images of people hunting, fishing, and catching turtle and dugong. 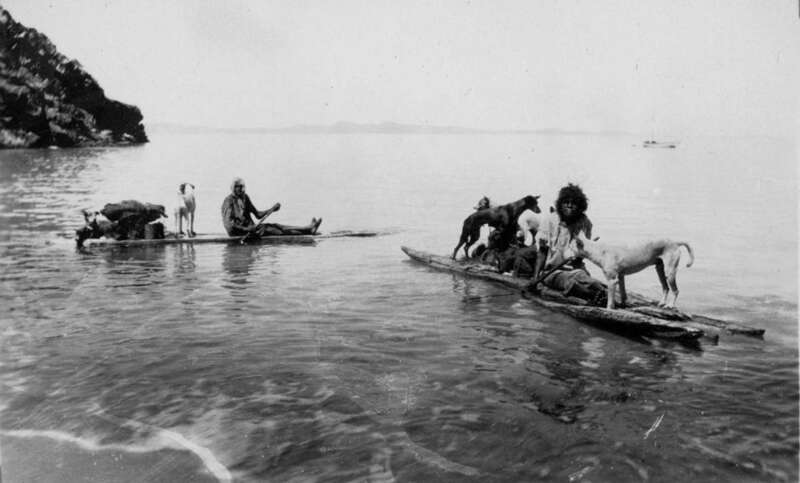 Importantly for the Nawi conference, there are several photographs of people in canoes and rafts. With the permission of the Traditional Owners of Cockatoo and Koolan islands, these images of watercraft will be on public display for the first time.